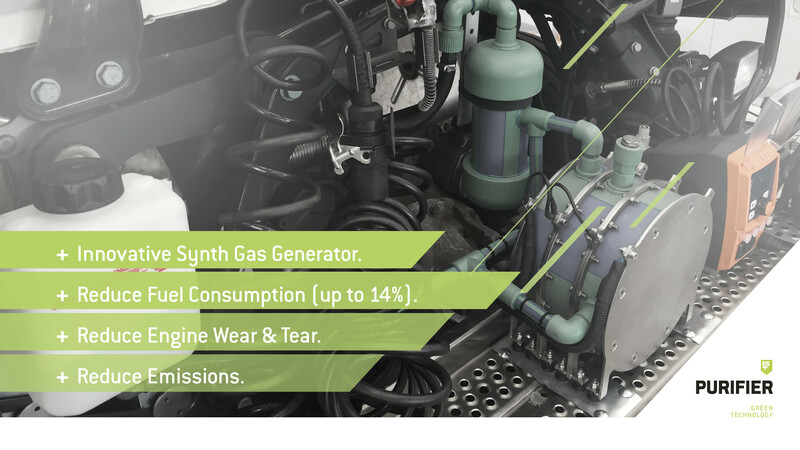 It feeds the engine a proprietary hydrogen gas mixture that increases the combustion efficiency as well as it reduces the fuel consumption and significantly lowers the emissions. The combustion process is running cooler due to the introduced hydrogen increases the combustion efficiency already at lower temperatures, which leads to the entire engine running at a lower average temperature level. This reduces the wear and tear on all parts exposed to high temperatures of the motor (cylinders, pistons, valves, crankshaft etc.). That means longer life and lower failure probability. Ultrasound examinations of test engines and abrasion tests of the engine oil have shown that the percentage of thermic related wear and tear can be reduced by about 40%! 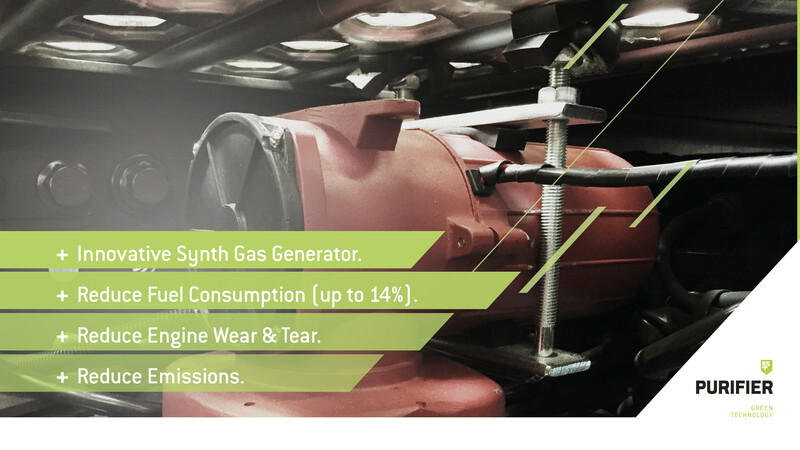 The FS PURIFIER+ deserves its name because it is not only economically attractive but drastically reduces the resulting emissions. This also makes your business more attractive and environmentally friendly. Investing in a FS PURIFIER+ usually pays for itself on the savings in fuel purchase within the first 2-3 years, well within the warranty period of a total of 6 years (3+3). With customer & project specific solutions that include individual warranty and service agreements, we aim to achieve an amortization period within the warranty period, and provide our customers with an attractive and profitable investment with a high return on investment (ROI).